The objective of the Project is to achieve broad agreement and commitment to adopt a number of standards and best practices related to ocean data management and exchange. The project is a continuation of the Ocean Data Standards Prilot Project (ODS), established and implemented jointly between JCOMM and IODE. The ODSBP project was established by IODE-XXII (2013) through Recommendatio IODE-XXII.6. maintain an online catalogue of best practices, enabling easy discovery and downloading of these documents by users (e.g. JCOMM Catalogue of practices and standards).On this web site you will find information on the Ocean Data Standards and Best Practices process, on the adopted Standards, the Partners and a wealth of background information on methods and guidelines for oceanographic data management. The Project is managed by a Steering Group involving members of the former JCOMM/IODE ETDMP Task Team for the ODS Pilot Project and other experts of JCOMM and IODE. Since 2014, IODE also hosts a document repository of Best Practices called OceanDataPractices (ODPr). ODPr is a joint effort by several participating institutions which include ICES, IOC/IODE, JCOMM, SCOR and WMO. The value of standards is clearly demonstrable. In oceanography, there have been many discussions for processing data and information. Many useful ideas have been developed and put into practice, but there have been few successful attempts to develop and implement international standards in managing data. 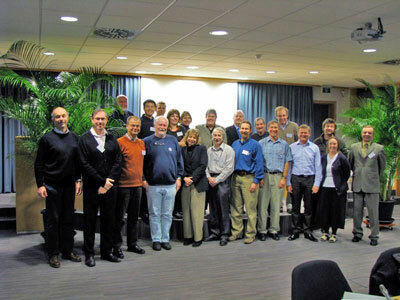 One of the objectives of the First Session of the IODE/JCOMM Forum on Oceanographic Data Management and Exchange Standards was to discuss and if possible determine a way to establish an internationally recognized process for submitting proposed standards and their acceptance by the ocean community. The standards that are produced by this process are intended primarily for the use of the marine meteorological and oceanographic community. If they have wider applicability, they may be submitted to appropriate international standards bodies, such as ISO. However, after recommendation, their use will be widely encouraged within IOC and WMO. This process has now been described and is available HERE . The First Session of the IOC s International Oceanographic Data and Information Exchange (IODE )/WMO Joint Commission for Oceanography and Marine Meteorology (JCOMM ) Forum on Oceanographic Data Management and Exchange Standards was held January 21-25, 2008 at the IOC Project Office for IODE in Oostende, Belgium. The event was supported financial by the US/NOAA Integrated Ocean Observing System (IOOS) and the Government of Flanders (Kingdom of Belgium). The objective of this meeting was to get general agreement and commitment to adopt standards related to key ocean data management thereby facilitating exchange between oceanographic institutions. The meeting brought together representatives of organizations that are extensively involved in ocean data management, possess strong technical expertise in one or more data management areas and able to influence other organizations to adopt the agreed upon standards.